Hello everyone and a very happy Sunday to you! Dharma’s been published again on High Style Life, a website dedicated to life and all the little pleasures it brings… which this week includes Dharma! So go on, go take a look at a couple of Dharma’s best and share with your friends, too! Unless you don’t like them, cuz otherwise, why wouldn’t you share? ? 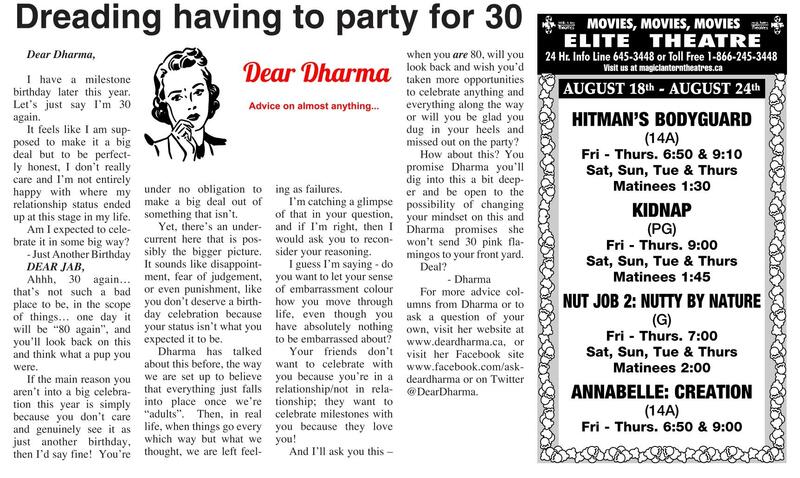 Also, Dharma is thrilled to have been published for the past two weeks in a row with the St. Paul Journal, a newspaper an hour or so outside of Edmonton, Alberta. Dharma would like to welcome the SPJ readers who can now enjoy Dharma in print with their weekly subscription and invites all the rest of you to check out this great community resource! 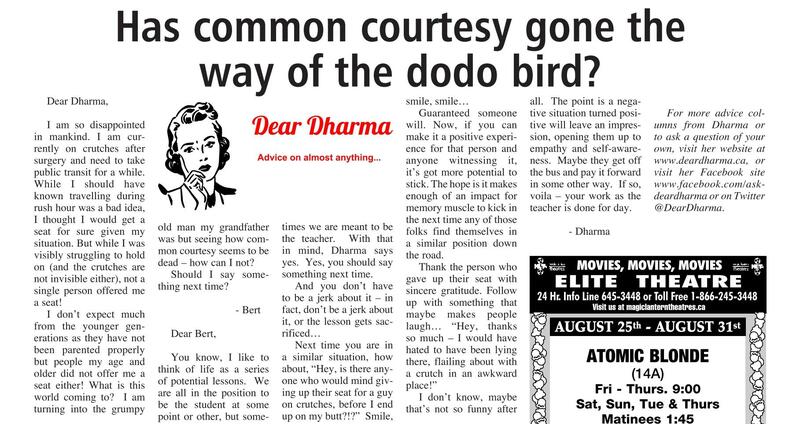 Thanks very much, Dear Dharma, for following me over at “Dear Abbie: The Non-Advice Column.” If I need advice I’ll come to you. If you need non-advice, come to me. Nice to meet you Abigail – and thanks for following! I’ll be in touch for non-advice soon!